What's the connection between sleep and weight loss? 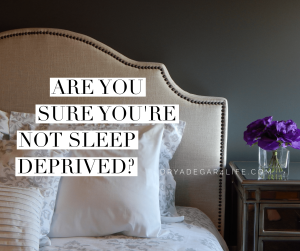 Sleep is a critical component in creating and maintaining one’s health and navigating weight loss. As a news topic, sleep makes headlines nearly every week. Although there’s still debate about the perfect number of hours one should get each night, the collective goal is at least seven. If you’re sleeping less than seven hours per night, learn how depriving yourself of sleep is affecting your weight goals and overall health. Learn more about the connection between sleep and weight loss. Sleep Deprivation Hurts Workers, So Why Does Our Culture Encourage It? Is Lack of Sleep Affecting Your Food Choices?